Helium Ion Beam microscopes (HIBM) are analogous to scanning electron micropscopes (SEM), but use a helium ion in place of an electron beam to image the samples. The main advantage is that features less than a nanomater can be reasolved with improved clarity due to the shorter wavelength of the helium ions. 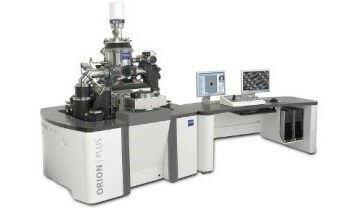 They also create less damage to samples compared to other ion beams due to their lower atomic massand are able to provide topgraphic, material, crystallographic and electrical information. Once submitted, we will try and place you in contact with a suitable Helium Ion Beam Microscopes (HIM) supplier within 48 hours.